We’ve identified and examined the most important factors new businesses need to consider when selecting the right location to start or grow a business. To make up our latest index of the top cities for enterprise outside of the capital, we’ve updated our city by city statistics using official data on everything from business survival rates, house prices, and commercial rent prices. This data then comes together to provide a detailed picture of exactly what each city has, or hasn’t, got to offer start-up entrepreneurs and, therefore, which city is the best place to start a business in 2017. 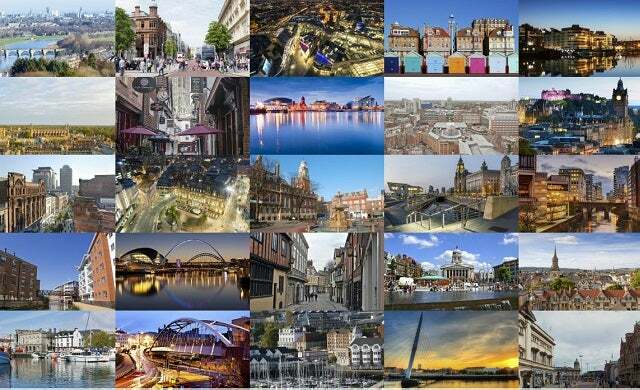 Selected for the scale of their business activity, population, and the importance each city has to its region’s levels of economic prosperity, our 25 cities stretch to each corner of the United Kingdom. London is purposely left out of the index – not because the capital would necessarily come out top, but because of the sheer scale of the city in comparison to others. Instead we examine London more closely here. With Newcastle in the north, Southampton in the South, Plymouth in the West, Norwich in the East, Aberdeen in Scotland, Belfast in Northern Ireland and Swansea in Wales, this index stretches across the entirety of the Kingdom’s shores. We also factored in Startups.co.uk’s own geo-location traffic stats, which served to demonstrate the level of start-up activity against other cities given the number of people utilising the site’s start-up guides, small business news, and success stories. The most exhaustive report of its kind, we researched and analysed the level of business support, the availability and qualifications of employable talent, finance and grants, quality of life, and the level of start-up and business growth activity which includes city by city business survival rates. You’ll also be able to read interviews with start-up businesses in every city – because who better to hear from then local start-ups? In these interviews, you’ll find out why each Start-up City is great for starting up, the support they sought, the ease of accessing finance to grow, what their cities could do better to foster business growth, where they go to network and entertain, and even the best place for a company night out. There were one or two data sets we were unable to collect such as retail footfall statistics (data which requires very deep pockets to acquire) but we’re confident this is the most comprehensive report on enterprising cities. Each city profile shares the best of what we found, including links to the most valuable resources. And once we had everything in place we applied our very secret formula to come up with our final ranking, which involved applying a multi-criterion weighting to score our cities on the aforementioned factors. It’s impossible to state categorically that one city is a better guarantor of start-up success, just as one business embedded deep within a rural setting may prosper where a city-dwelling venture peer may fail fast. What we can see are the conditions that are required to give a start-up business the best chance of success. And that is what you’ll see here. So which cities came out top in our Start-Up Cities Index 2017? Click below to discover the answers. Enjoy and, if you have any extra information that you feel we should include in our city profiles, leave a comment in the box below, Tweet us @startupstowers or email megand@startups.co.uk.